Photo courtesy of BTL SVC. 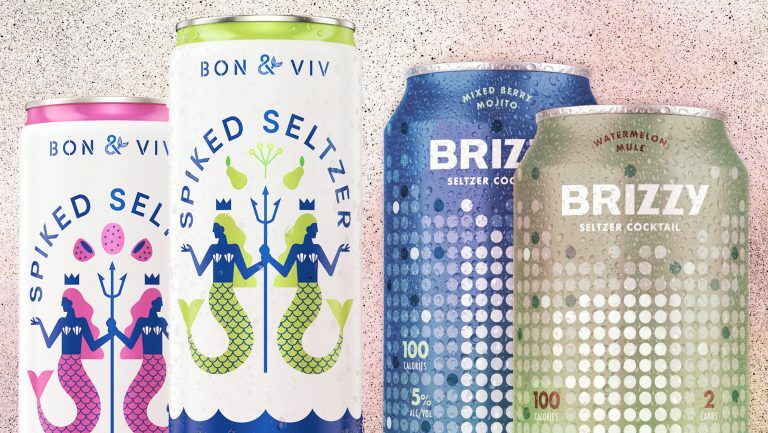 Premium canned cocktails are on the rise, and slowly but surely, the world of bottled cocktails is expanding as well. Though they are technically considered ready-to-drink (RTD) cocktails, a better term for most bottled mixed drinks would be “ready to serve,” as they are fully mixed but intended to be poured over ice. In the past, bottled cocktails were generally mass produced, like Jose Cuervo margaritas or Kahlúa White Russians. But a new wave of producers intends to replicate the cocktail bar experience—no mixologist needed. 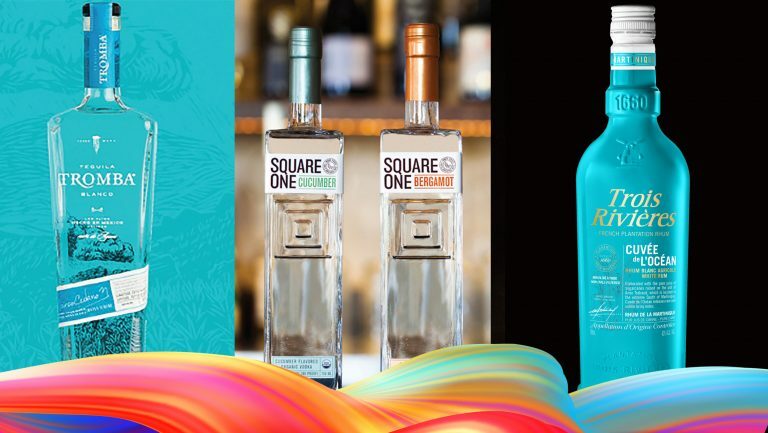 As the RTD market expands—a Mintel Group report from December 2017 predicted a 24 percent growth for spirit-based RTDs during the period from 2017 to 2022—producers see many opportunities for craft bottled cocktails. On retail shelves, as ready-made restaurant or bar cocktail programs, or as premium offerings for hotel minibars and theaters, new bottled brands are making high-quality cocktails more accessible. Consumers can and do mix drinks at home, but convenience is a strong selling point. Joly compares his cocktails to high-quality prepared food. 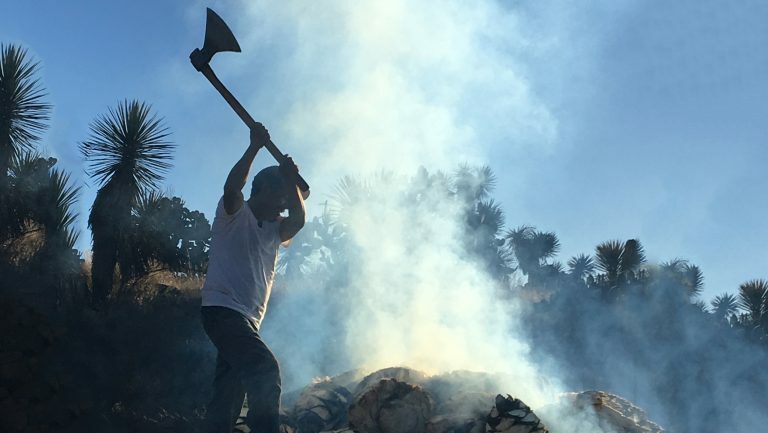 “When you’re throwing a party, you have to pick your battles,” he says. He sees consumers who entertain at home as a natural market—having quality cocktails, cold and ready to serve, takes the pressure of mixing drinks off the host. 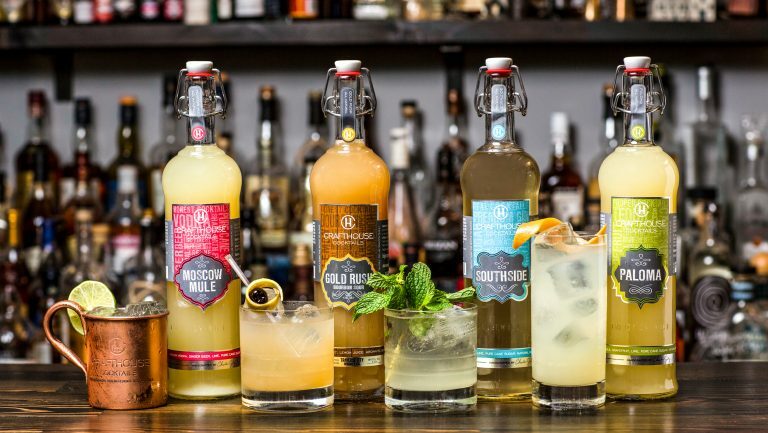 The 750-milliliter bottles of Crafthouse Cocktails sell for $18.99. Photo courtesy of Wandering Barman. 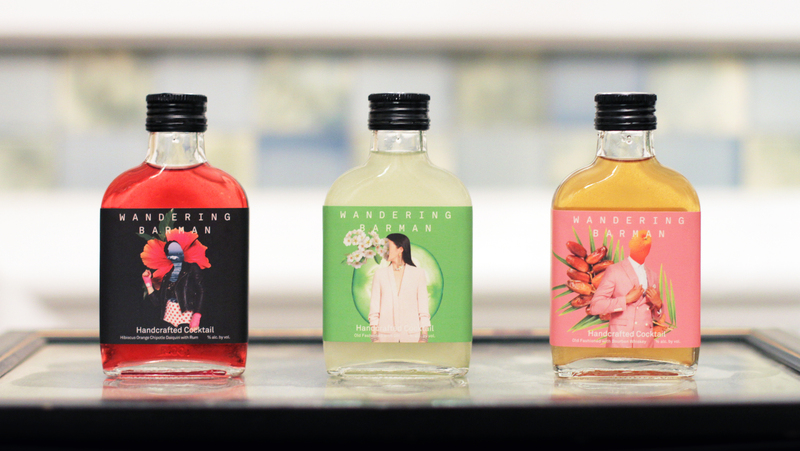 The bottled cocktail brand Wandering Barman, also based in Brooklyn, was born from the cocktail bar Yours Sincerely—in the borough’s Bushwick neighborhood—with bars in mind. Cofounders Julian Mohamed and Darren Grenia, and former manager Roxane Mollicchi—all partners in Wandering Barman—spent years developing the venue’s concept, which serves cocktails exclusively offered on tap. “We wanted to serve cocktails as fast as dive bars could serve beers,” says Mohamed. The bar opened on New Year’s Eve 2015, with more than 20 cocktails on draft. That’s when the three partners starting thinking of their next venture. “Do we open another bar?” Mohamed says. “Or something else that has the potential to be bigger?” The move from kegged cocktails to bottles wasn’t a huge leap, and the bottled cocktails of Wandering Barman were conceived. From the outset, the team targeted on-premise sales. 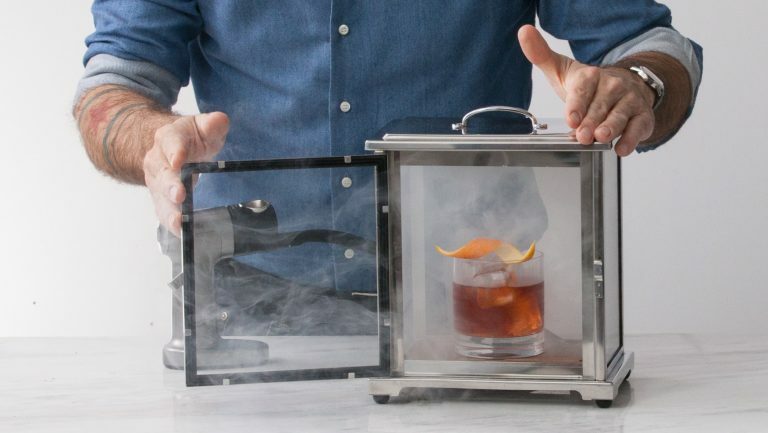 “We launched as a solution for restaurants and bars,” says Mollicchi, “helping bars to be more efficient and limit their waste.” Wandering Barman began self-distributing four cocktails in early 2018, including the date-infused Old Fashioned and the spicy hibiscus Daiquiri. They soon branched out from Bushwick and now have placements at dozens of New York City bars and restaurants. Baruch was immediately attracted to the travel sector, however. “There are 700 million domestic airline passengers annually,” he says, “and 750 million occupied hotel rooms at $275 per night or higher.” People tend to drink on planes and in hotels, but there were few premium RTD cocktail options. Despite the evolution of bars and restaurants in hotels over the years, Baruch found, the minibar had never gotten an upgrade. “You’ve gone from M&M’s to Dean & Deluca chocolate-covered almonds,” he says, “but you’ve still got the same 50-milliliter bottles of vodka and gin.” When proposing the idea of in-room bottled cocktails to contacts at luxury hotels, Baruch heard a consistent message: They were open to the idea, but they wouldn’t serve a Mike’s Hard Lemonade or Skinnygirl. 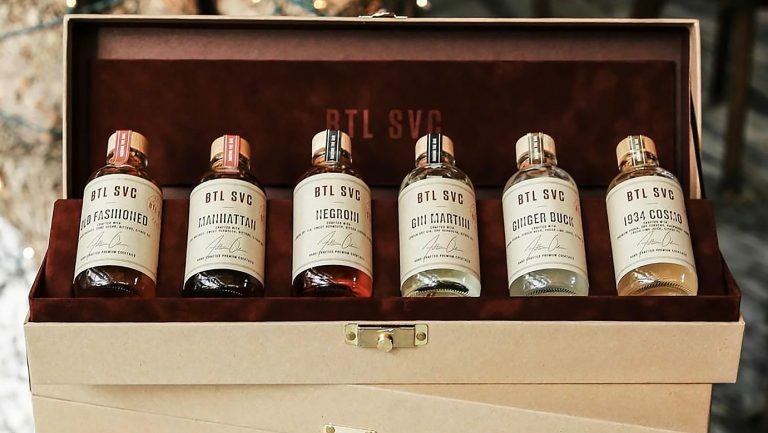 There was a robust potential market without a product—a void that BTL SVC, with professional-quality classic cocktails in attractive bottles, aimed to fill (SRP $12 each for 100-milliliter bottles; $40 for 375-milliliter bottles). 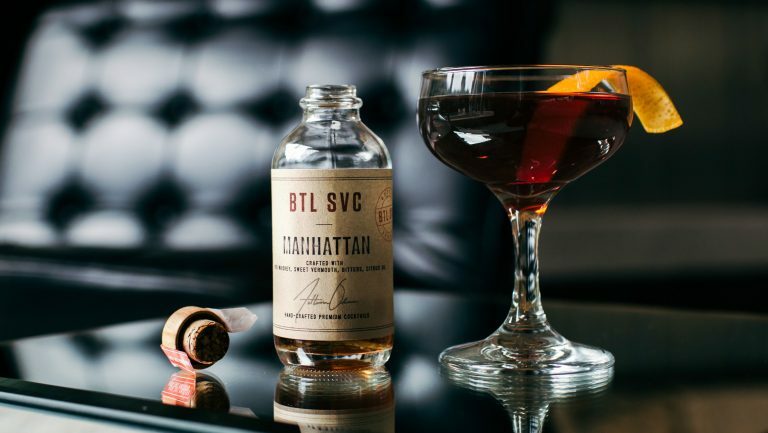 In trial launches, BTL SVC’s cocktails accounted for 20 to 25 percent of minibar revenue. The company has now expanded broadly within hotels, including Mr. C (Los Angeles, New York City, and Miami), the Montage Beverly Hills, and the Sunset Tower Hotel in West Hollywood, and also sells bottled cocktails at arenas and theaters. In addition, BTL SVC cocktails are served in American Airlines premium lounges. While the RTD space is still dominated by mass-market, lower-quality products, these new brands have seen strong growth since their respective launches, establishing firm footholds in a number of spheres, from traditional retail to on-premise sales to hotels and airlines. Sophisticated bottled cocktails are now available in settings that might once have seemed unlikely without the aid of a bartender: at Broadway theater concession stands, at concerts and festivals, 40,000 feet in the air. 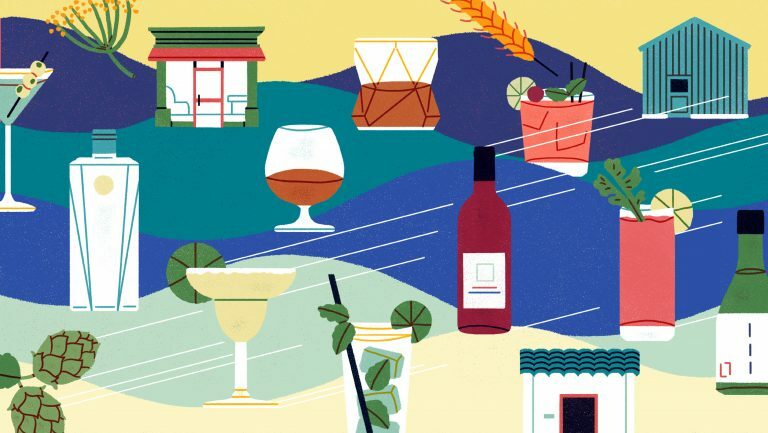 In 2019, craft cocktail culture thrives in bars and restaurants around the country; quality bottled drinks allow that culture, in a sense, to move out from behind the bar.